So I've only been dipping my toes in the game so far, but there seems to be a very high learning curve so I'm a bit lost. I've bashed my way to 47 (which admittedly isn't very high) but I can't really make a dent in monsters at this level. I'm not a seasoned IRE veteran so plenty of mechanics seem a bit confusing, so I'd like to ask for advice. Any tips for bashing? Also how would you approach rp as a new member of an org? One basic thing I can recommend is to never forget the SHARD abilities. Specifically, SHARD ADRENALINE, SHARD ANATOMY, and SHARD WILDLIFE will be your friends. You'll need a blue shard to activate each of them, and each will last 2 hours. Feel free to ask over CT if anyone can give you some blue shards. Obtaining them yourself is a bit more complicated; Khandava, at least, has plenty of people with shards to spare so you might as well ask for some! AB SHARDS and HELP SHARDS can tell you more about this shard business. 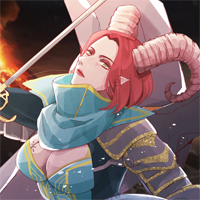 General bashing advice: Limit the number of aggro mobs you take on in a room to a reasonable level. This is easier for lower level areas where mobs usually don't have shared loyalty or aggression. Shielding is pretty good for non-humanoid mobs, but running out for a moment is better for mobs that can hammer. AREAS can help point you to hunting grounds with level recommendations. It's not perfect, but it's pretty good. Check DOUBLOON AREAS and compare it to the area list. A fair number of them are in your level range, and each doubloon is worth 25c of artifact rental. Do a few a day, and you can rent some tankiness, crit, or your class weapon to help your bashing for a while. Otherwise, it's mostly your level, equipment, and other goodies that determine how well your bashing will go. Pester people for a highfavour. It gives you some stats and an experience boost. Make sure to have tattoos, especially shield, moss, and owl. Probably want boar and tree as well. As a summoner, you want to wear scalemail instead of the ringmail you have on. Ask for shards for hunting. SHARD ADRENALINE, SHARD ANATOMY, and SHARD WILDLIFE provide health regain, critical chance, and damage reduction respectively and last for 2 hours. I'm forgetting things, but there's a start. Hm, so I have a few more questions if I may. Is there an etiquette for how you should speak OOC in game? Same as other games, I would imagine. Ask if they don't mind, then use the typical identifiers. (( <text> )) etc. Dunno about Discord, I avoid that **** like the plague in IRE games. I mean discord can be a cesspool but since the community isn't extremely big I'm assuming it would be more alright ? Not sure tbh. Rings and Newbie can be (and are mostly) OOC, since it's the place to discuss syntaxes and the like. Clans can be OOC or IC; it would depend on that clan. Tells and messages are IC unless it is agreed upon by both parties that they will be discussing OOC matters. Tags such as // or (( )) generally denote OOC messages. All other forms of communication (particularly public ones) are IC. * CT, GT, GTS, SECTT, STS, TT, MARKET, SHOUT, YELL, SAY are some channels that fall under this wide category. 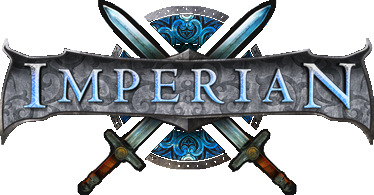 To answer the other question: There is no official Imperian discord. Some communities have their own servers, but as far as I know there isn't a central one that the majority of players use. There is at least one discord (definitely not official). Has quite a few former and current Imperian players in it. One thing I have a question with is where to sell corpses. Expanding outside Canaane, I killed some rabbits and chickens. But where do I sell the corpses, if I can sell them at all? There does not seem to be any guide to assist on where to sell them. Typically there's an NPC in the area you're in that will take a specific mob/mob group, the trick is finding them though I find they're usually close to an entrance to the area. But specifically chickens and rabbits? No clue. So I take it that once you are crippled, like have a crippled leg...you are screwed? Depending on how exactly it's injured you need to APPLY MENDING or APPLY RESTORATION. Will APPLY RESTORATION cure the insobriety/hangovers that I get when I'm with Rokas?